When it comes to burgers, I prefer to stick to the “classics”—and by this, I mean the ones with the minimal trimmings. Anyone can throw in as much fancy stuff into his sandwich: foie gras, salted caramel, fried stuff that make your burger thrice the normal height on top of the usual lettuce and tomato; but not everyone can make a perfect patty: simple but expertly seasoned, holds up and doesn't crumble, medium or medium rare. 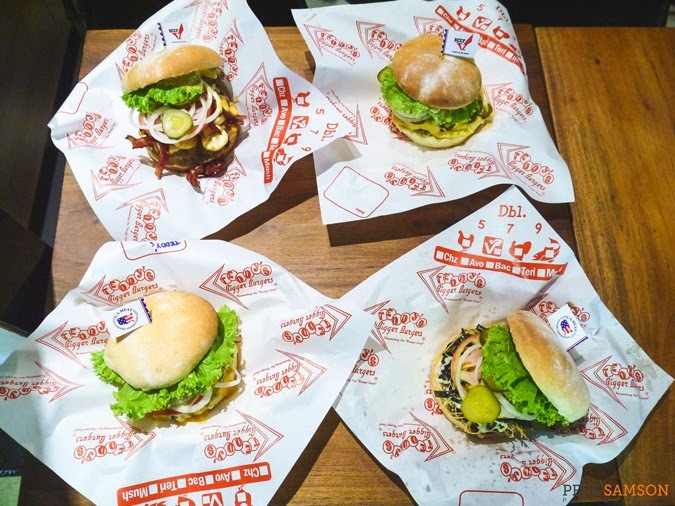 Oftentimes, a simple cheeseburger with a good patty—and of course, a good bun—is all I need to be happy. I wasn’t too excited when Ted Tsakiris and Rich Stula’s burger joint, Teddy’s Bigger Burgers, opened last year. It arrived a few months after CaliBurger and almost coincided with Zark’s opening near my office. The latter was disappointing: not that it was no good, but after a couple of humongous bites, you just get tired of it. 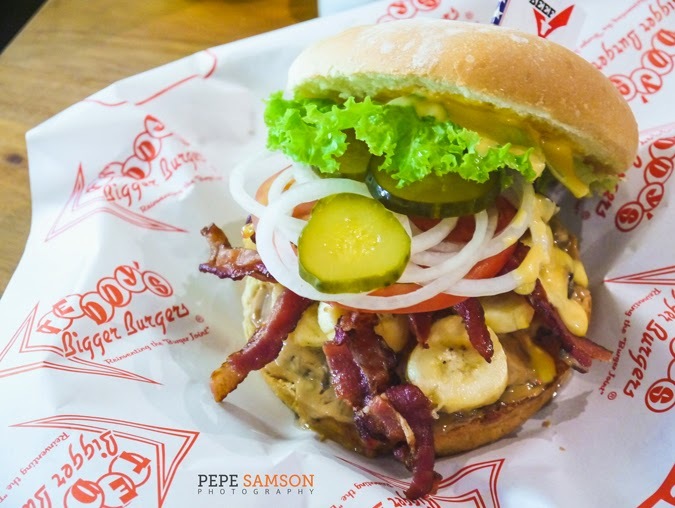 The former had a lot of negative reviews from friends, so I decided to stick to my favorite burgers (e.g. Chili’s). 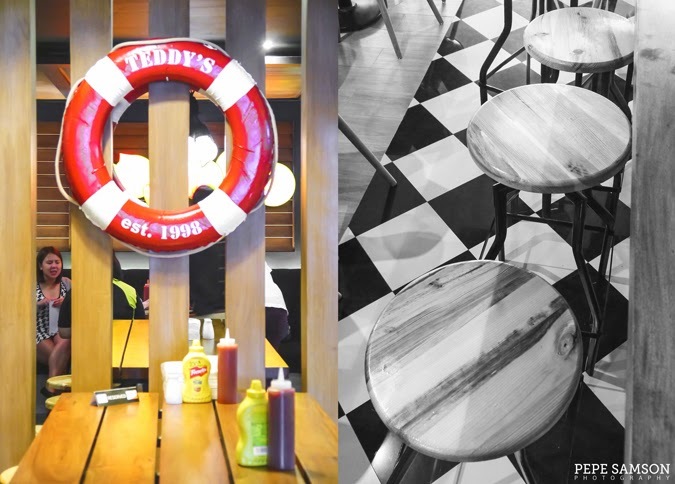 Until a blogger friend invited me to the newly opened Teddy’s at Shangrila, and my life was disrupted. Things changed. I should’ve given Teddy’s a chance earlier—their burgers are amazing. I’m usually choosy with this type of food, but holy cow … I loved theirs! The signature corn-fed ground chuck patty is really good—juicy, compact, and freshly made daily. The potato bun is soft, complementing, and unobtrusive. 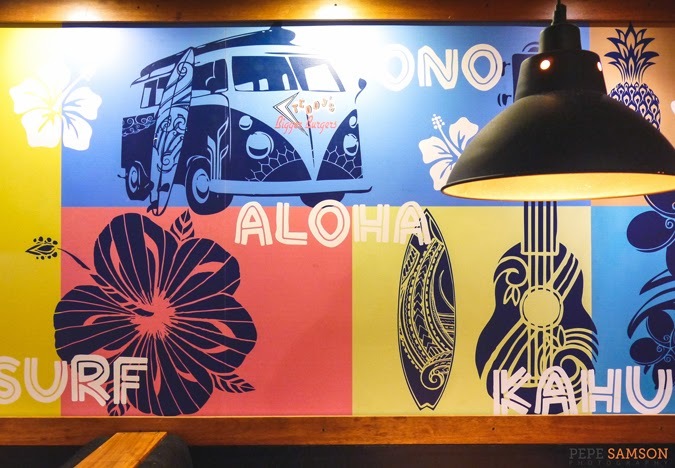 The award that Teddy’s boast of having the best burger in Hawaii and Seattle says a lot about its popularity. It wasn’t all hype; Teddy’s is both show and substance. 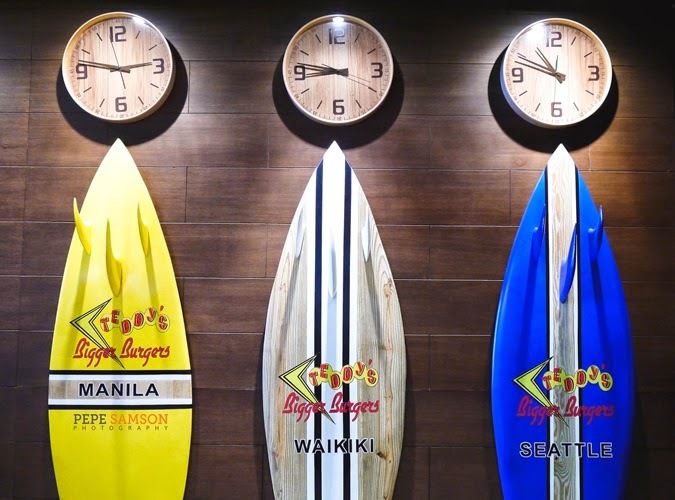 The second branch of the burger chain in Shangrila Mall flaunts its own exclusive burger selections while still maintaining the essence of the brand: a Hawaiian-themed interior to match its origin, complete with all the leis and surfboards and lifesavers; checked flooring and vibrant wall art exuding a 50’s feel. 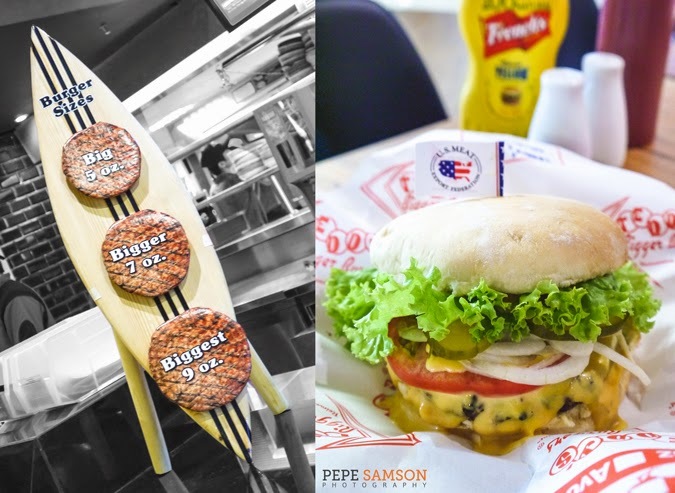 Of course, this branch offers the same burger size options as the first: “Big” (5 oz. ), “Bigger” (7 oz.) and “Biggest” (9 oz.). 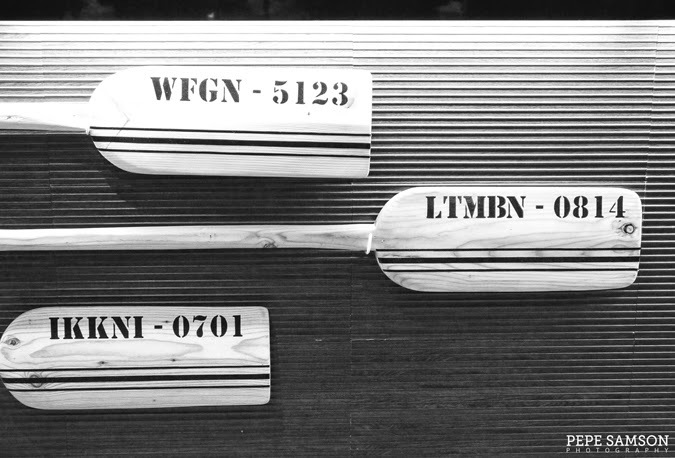 When you think about it, the “Big” one is actually the smallest, and I feel ridiculous labeling it so. I think people with a middling appetite couldn’t finish it. Ironically, what I enjoyed at Teddy’s Shangrila were the 3 new fancy burgers—fancy in the sense that they’re not my usual cheese or BLT. 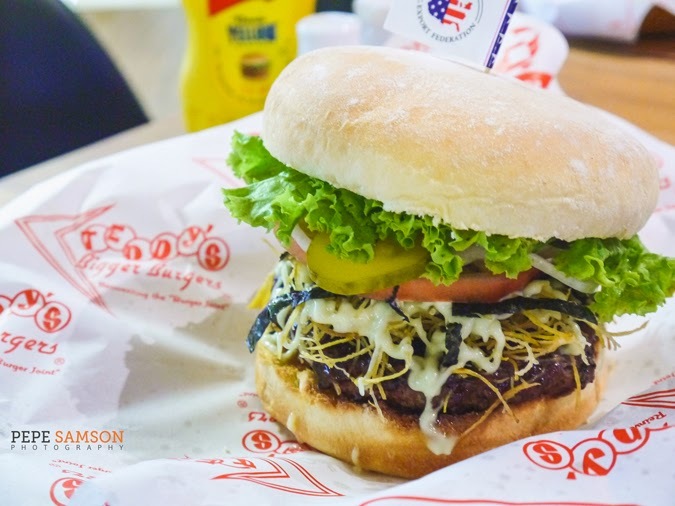 Take for example the Bandito: Teddy’s signature patty, bun, and sauce plus a rich blanket of cheese and loads of jalapeno. 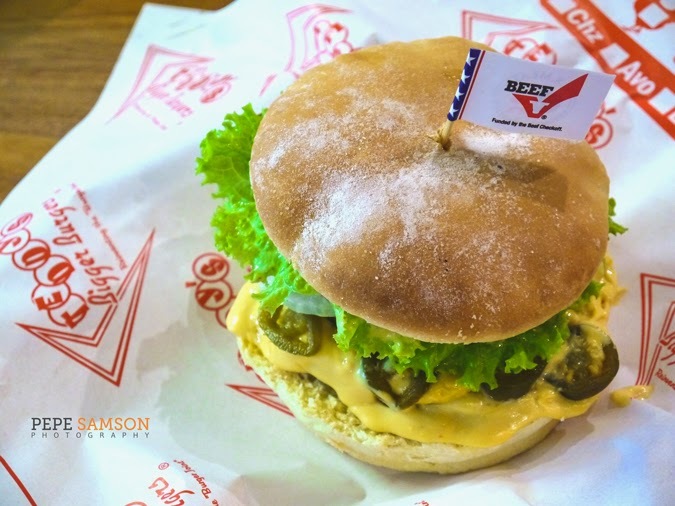 For lovers of spicy food, this is the burger for you. I found the Samurai Burger even more interesting—and delicious. Think of all the yummy things that are Japanese, throw them all into a sandwich, and this would be the result. Teriyaki sauce and wasabi mayo combine together in a confusing yet delightful disarray of flavors; sweet potato crisps and nori strips add texture to the burger. 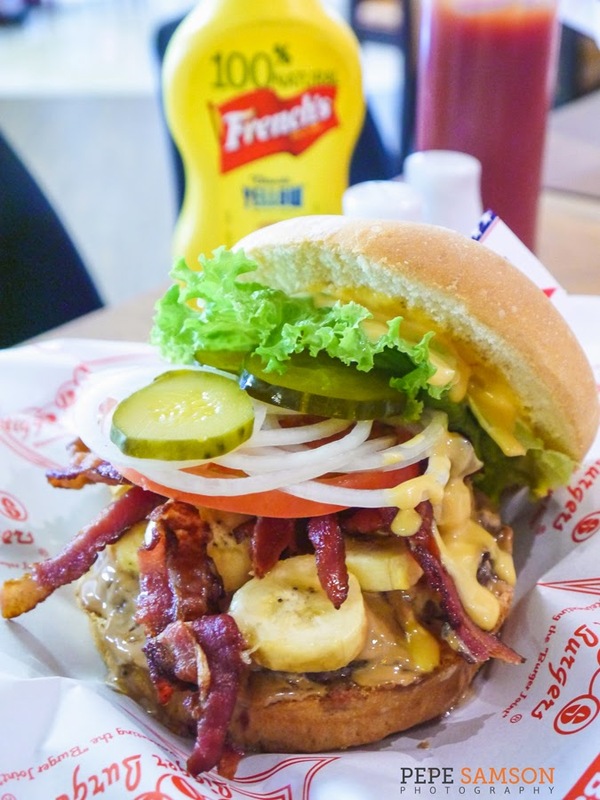 My favorite among the three was the Elvis Burger: a genius assemblage of Teddy’s Original Burger, peanut butter (the salty type), bananas, and bacon. Incidentally, I had just finished watching What If (Daniel Radcliffe) and in the movie they were so obsessed with the Fool’s Gold sandwich—something Elvis Presley himself was totally passionate about. 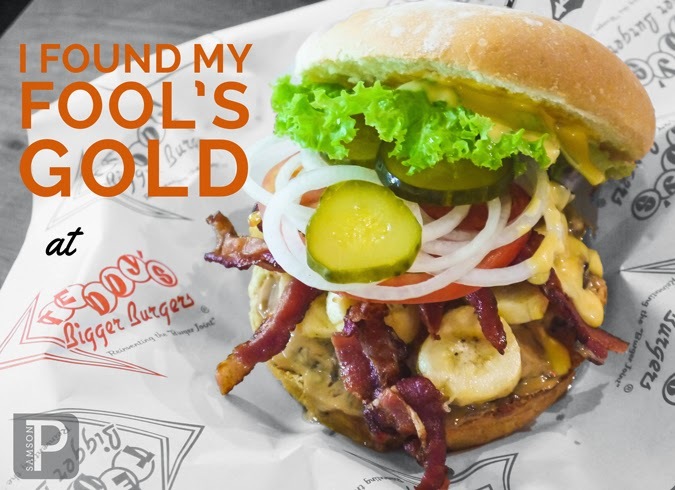 I found my own Fool’s Gold with this burger, and I have no doubts the King of Rock n’ Roll would have found this to-die-for. It has everything: a slight sweetness from the bananas, crisp from the bacon, saltiness from the peanut butter, meat, vegetables. This was insanely good that I knew I was on the verge of puking but still kept on munching on my burger! 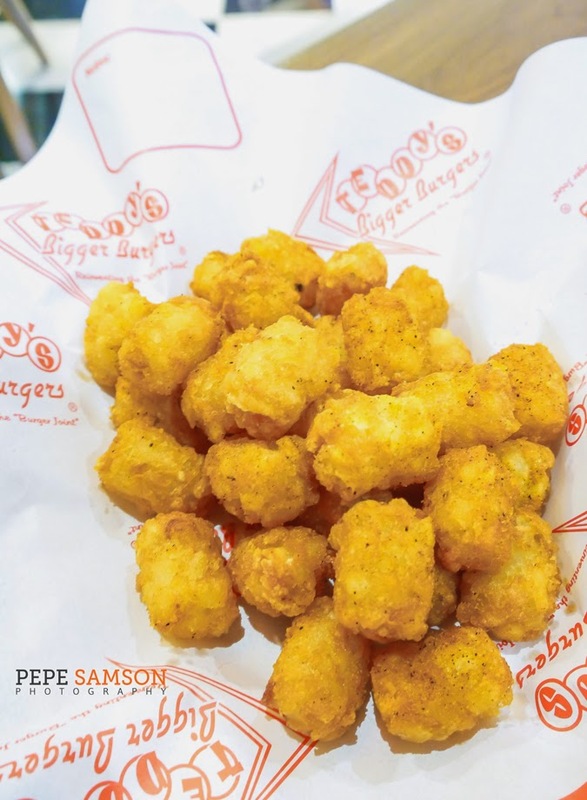 Fries are a tried-and-tested pairing with burgers, but for Teddy’s, please make an exception and order a side of the Tater Tots (PhP149 small/PhP215 large). These are mini-hash browns with this inexplicably delicious coating that becomes even tastier with tons of ketchup or whatever your favorite dip is. Just trust me on this one—I almost finished the entire basket! Teddy’s Shangrila also introduces new All-Day Breakfast items into the menu. 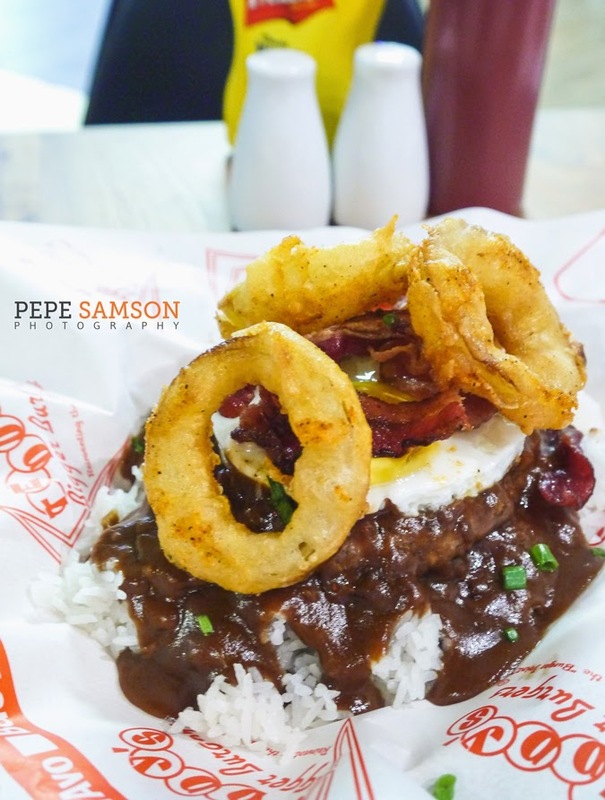 The Western Loco Moco is Teddy’s signature patty, served on top of rice, smothered with a special gravy, then topped with fried egg, onion rings, and bacon strips. Every element of this dish screams “comfort food”. 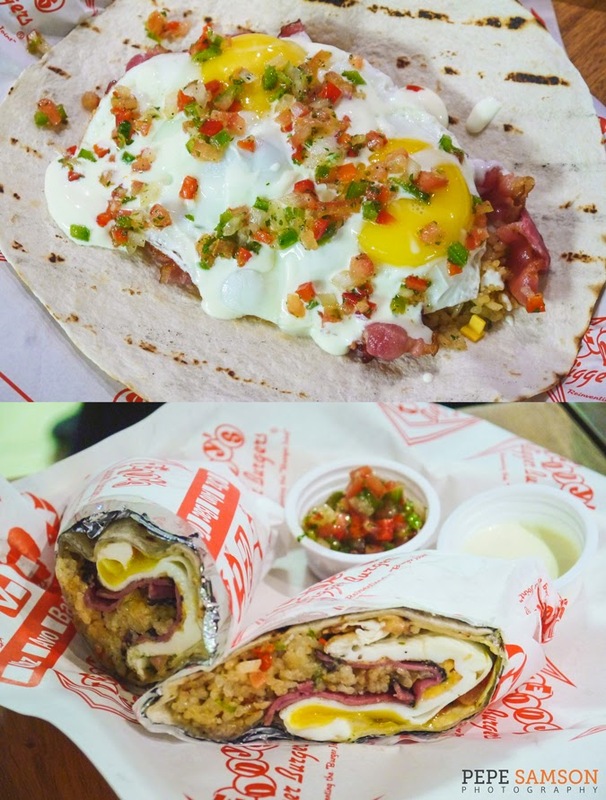 A Breakfast Burrito is also available: flavored rice, fried egg and bacon wrapped in flour tortilla, served with salsa and garlic mayo. One bite of this told me it was meant to be devoured whole—but after trying several burgers I couldn’t squeeze anything more into my stomach. 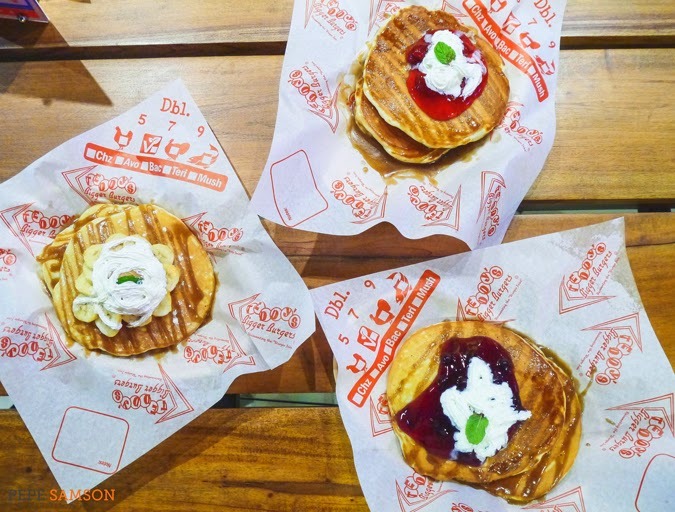 A variety of pancakes is also in the menu for those who can’t survive a meal without something sweet. There’s Banana Peanut Butter, Blueberry, Strawberry, and Macadamia Vanilla—all of which moist and fluffy and come with whipped cream and caramel drizzle. 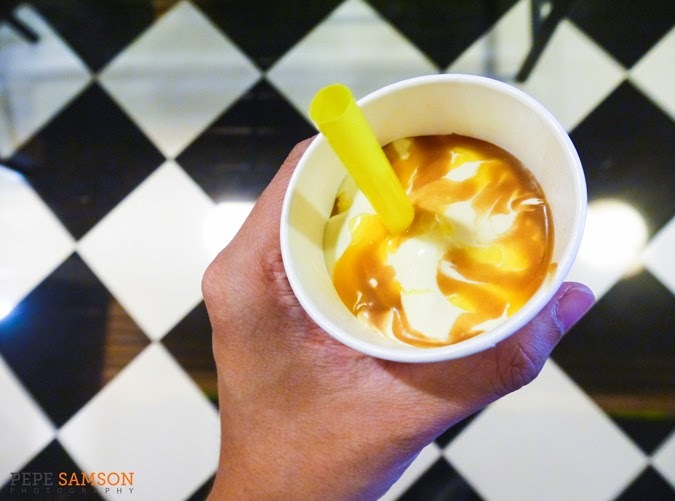 However, if you’re persistent on that sweet finish, I would recommend getting Teddy’s mango caramel ice cream. It’s so delicious, even non-dessert lovers might get converted. Dining at Teddy’s felt to me like being transported into a Hawaiian Riverdale: chatting with Pop Tate while enjoying American comfort food with Archie and the gang. I could almost imagine that a jukebox was playing the modern music, not the computer. The place had that kind of charm and atmosphere. As for my burger choices, I would probably still stick to my regular cheese and BLTs, but for Teddy’s I will wholeheartedly make an exception. In fact, I think I’ve just found my new favorite burger. My meal was sponsored by Teddy's Bigger Burgers. All opinions, however, are my own. Special thanks to Mr. Spanky Enriquez! 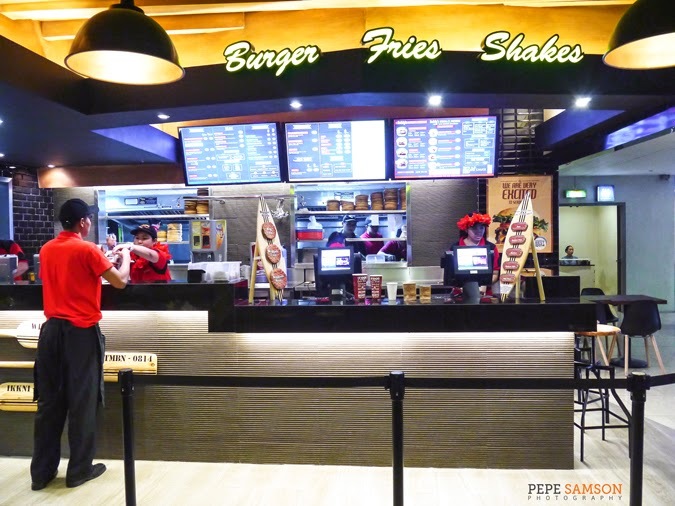 Vikings Buffet Opens at SM Jazz Mall!